The concept of Ambient Networks (AN) aims at enabling the co-operation between heterogeneous networks on demand, in order to provide ubiquitous connectivity to end-users. This could be achieved by seamlessly incorporating context-awareness which plays a vital role in supporting autonomic decision making in ANs, while giving rise to new types of applications and services. Modeling and disseminating contextual information in a rapidly changing time-constrained heterogeneous environment, transparently to the potential users, is a challenge. 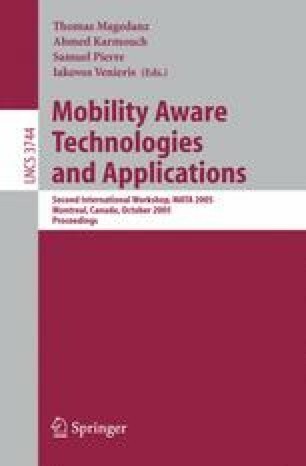 This paper discusses these complications with an evaluation of the existing context modeling and dissemination approaches, with respect to ambient networking requirements.